With the new connection framework, the network modules are currently undergoing a transformation with regards to how credentials are supplied. In Ansible versions 2.0 to 2.2, network modules support providing connection credentials as top-level arguments in the module. As an aside, some vendor network modules support more than one type of transport for sending CLI commands to the remote device. Specifically, the Arista EOS and Cisco NX-OS platforms provide an alternative method which involves sending CLI commands over HTTP(S). To add support for using the updated transport layer, additional top level arguments were introduced that allows for specifying the transport for use with any configuration parameters. This can also be used when changing the transport and supplying additional parameters and therefore reused throughout the Playbook. So what does this have to do with Ansible 2.3? As mentioned, the forthcoming release of Ansible 2.3 introduces a new connection framework. 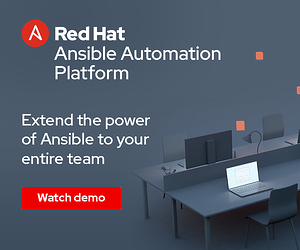 This new connection framework is integrated into Ansible and makes use of many of the available plugins available. With this new connection framework, we have decided to deprecate the use of top level arguments for passing credentials into network modules. This applies to all top level credentials arguments except provider. As the warning messages indicate, the top level arguments are now considered deprecated and will be removed in the future. Instead of using legacy top level arguments, Playbooks should be updated to use the provider argument for all network module credentials. Why was this change introduced to Ansible 2.3? The new connection framework is designed for future features and benefits moving forward. A notable benefit is that the new connection framework is integrated as an Ansible plugin. Because of this, there is now the ability to pass credential information from the command line in Ansible just as is done for non-network modules. The Playbook above uses the user credentials supplied from the Ansible command line to authenticate to the remote device. 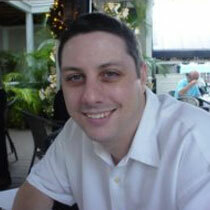 This removes the requirement to encode any credentials into the Playbook, helping to further simplify the Playbook. 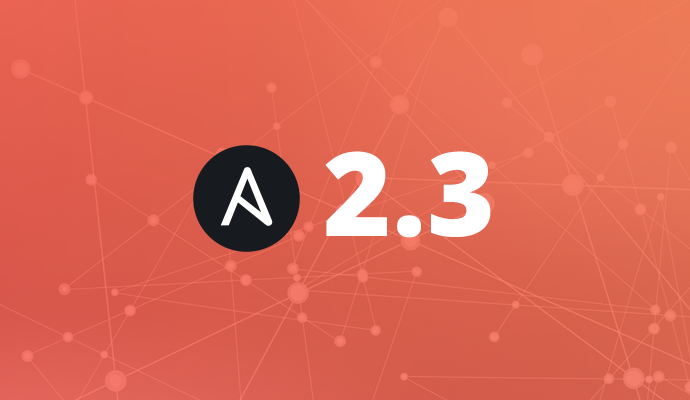 Ansible 2.3 will introduce a new connection framework for networking modules, bringing enhancements to how modules are authenticated to the network device. In order to help streamline and enhance Playbooks, Ansible 2.3 deprecates the use of top level arguments in favor of use of the provider argument. Current Playbooks that implement top level arguments will still function in Ansible 2.3 but are expected to be removed in a future release per the standard Ansible project deprecation schedule. Playbooks should be updated sooner rather than later to help avoid future problems. Finally, network modules in Ansible will be able to consume credentials provided via the Ansible command line. This can provide a more consistent and more secure environment that can simplify Playbook development.